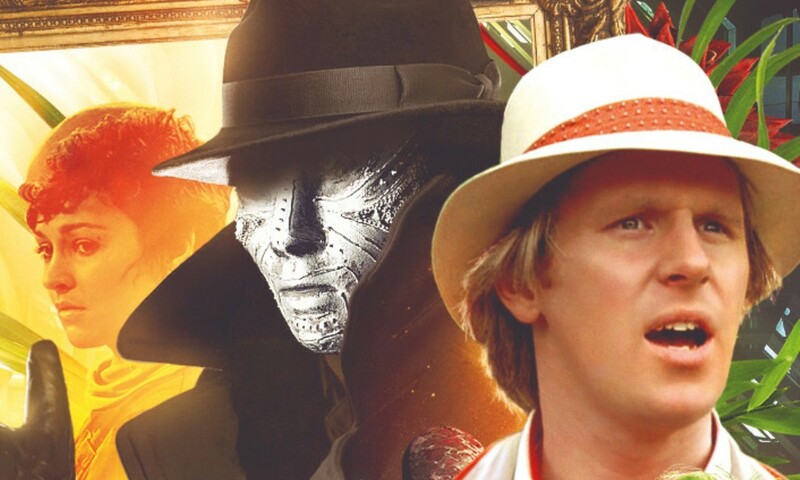 The most recent Fifth Doctor trilogy comes to an end with Serpent in the Silver Mask by David Llewellyn. 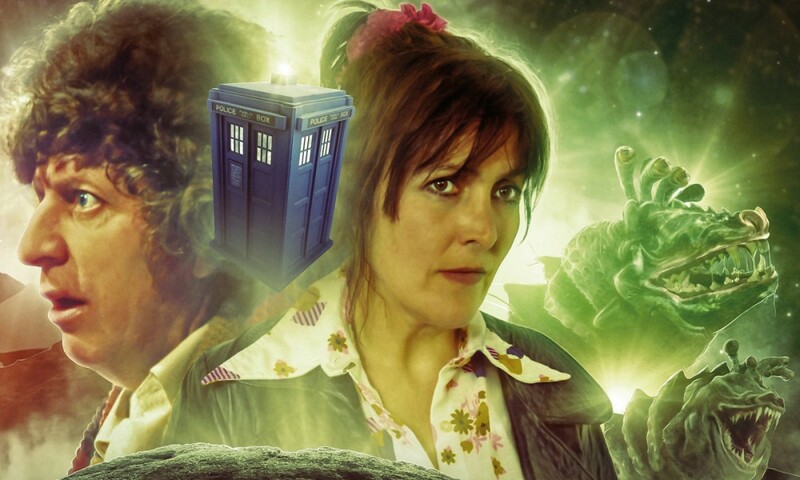 While Big Finish’s previous Season 19 stories have been somewhat sombre and serious stories in the Christopher Hamilton Bidmead / Eric Saward style (particularly Iterations of I, The Star Men, and Zaltys), all three parts of this set have had slightly comic overtones to them — the farcical marriage plot and “Nyssa the Destroyer” antics of Kingdom of Lies, the beleaguered ghost walker of Ghost Walk. 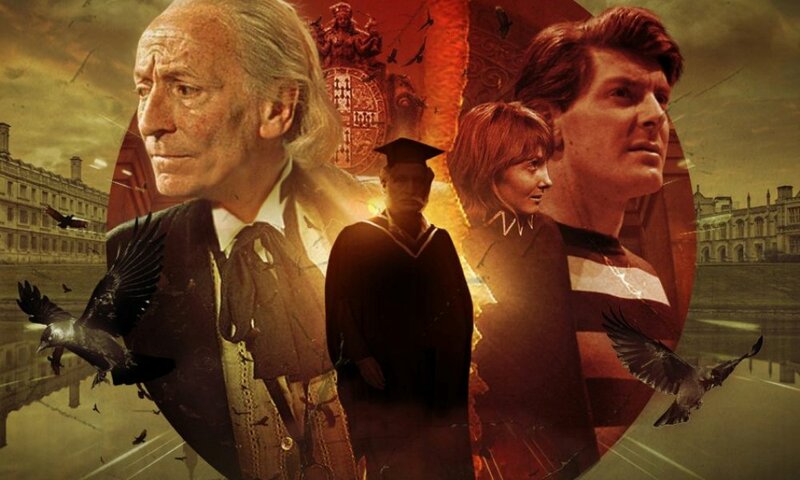 Serpent in the Silver Mask continues this trend, with the Doctor, Nyssa, Tegan, and Adric having a breezy time investigating murder on a space station that’s been moved slightly outside the space-time continuum for tax purposes. The running time of Serpent in the Silver Mask is shorter than normal, but that’s no crime given many Big Finish four-parters linger on a bit too long. It’s a simple story, in a sense, but told so well; it reminded me of The Jupiter Conjunction in some ways, another Fifth Doctor tale with lots of companions that gives them all something to do, filled with fun ideas, and no small amount of wit. A member of the Mazzini family has died, and all his (mostly terrible) relatives have turned up to find out who will inherit. Only then the one who has inherited dies, so who is responsible? The Doctor plays at Sherlock Holmes, but the whole ship-shape team for a trim time-ship has their part to play. Nyssa tries to blend in and do some science stuff, Adric gets to put his Artful Dodger skills to some use, and Tegan even gets some light romance. (I did find myself unconvinced by a bit where Adric warns the Doctor off of taking the easy way out by stealing something, though.) Unlike some stories, which split the characters into groups and keep them that way, Serpent in the Silver Mask consistently switches up the configuration of its four leads. Possibly the funnest part is when the Doctor is left by himself, in a cell, and has no-one to talk to but a voiceless security robot — Peter Davison gets to show off his comic chops. Barnaby Edwards’s direction is brisk and fun, which is exactly what the story requires. The casting is, as always, immaculate. Phil Cornwell does a good job in the dual role of Superintendent Galgo, the station’s security chief, and Zaleb 5, its robot administrator. Galgo is Killoran, and Cornwell sounds enough like Professor Bernice Summerfield’s Harry Myers as Adrian Wall to remind you he’s of the same species, but he makes Galgo come to life, too — this isn’t a stock obstinate cop character the Doctor has to work around, but someone genuinely interested in helping people. On the other hand, Zaleb 5 is just fun. The true star turn, though, is Samuel West as the Mazzini family — a good half-dozen of them at least. A major problem of Big Finish mysteries is that the casts aren’t large enough to allow a reasonable number of suspects; Llewellyn solves that by having a whole passel of demi-clones as suspects, and Barnaby Edwards solves that by casting Samuel West. West is charming, hilarious, lecherous, and villainous as needed across the various roles, and if you hadn’t told me he was all one guy, I probably wouldn’t have noticed. On the whole, this is one of those stories where I struggle to explain the appeal. Though it has a number of nice, small moments, this story isn’t one that will knock your socks off. What it is, though, is an interesting story, well told, keeping you thoroughly entertained for 90 minutes. We could do with more like this from the main Doctor Who range. The strongest of the most recent Fifth Doctor trilogy, and well worth a listen. 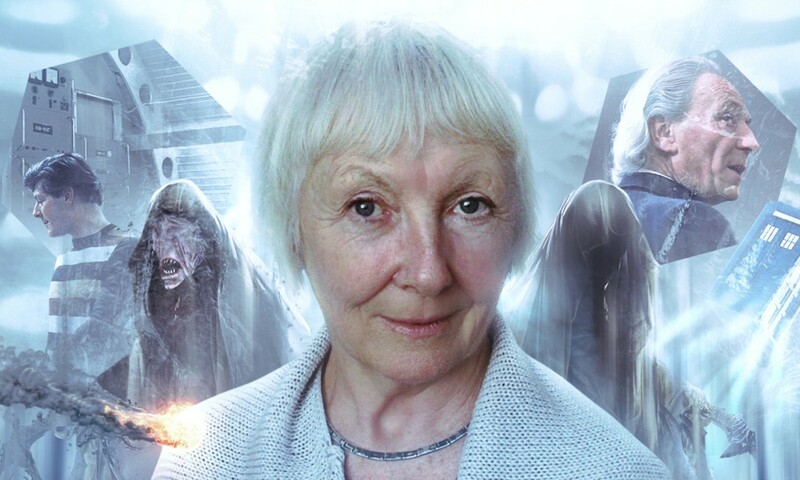 Serpent in the Silver Mask (by David Llewellyn; starring Peter Davison, Matthew Waterhouse, Sarah Sutton, Janet Fielding) was released by Big Finish Productions in March 2018.